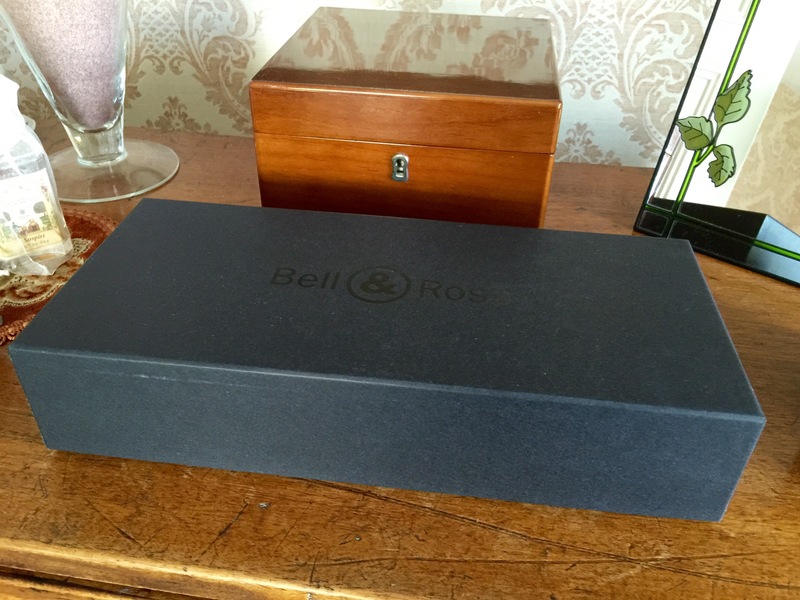 I have wanted a Bell & Ross in my collection for as long as I can remember. 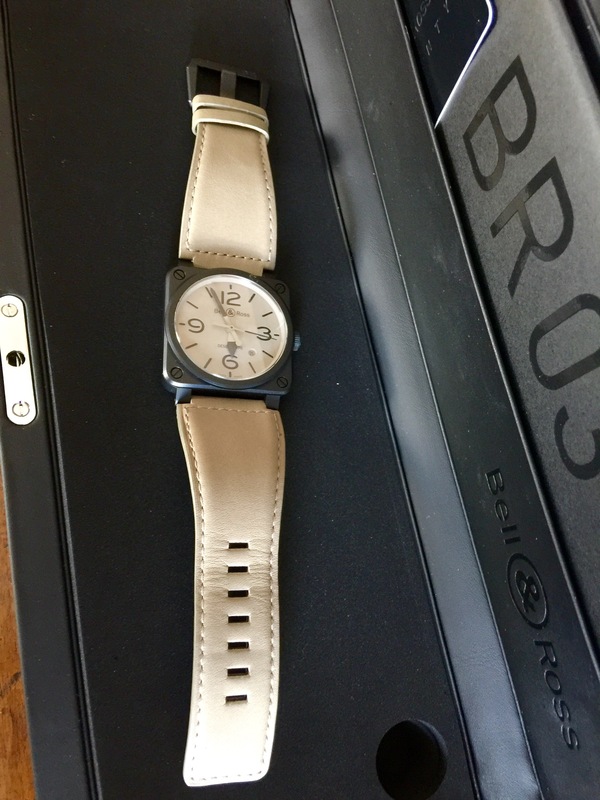 I like the Vintage 123 in a Khaki strap. 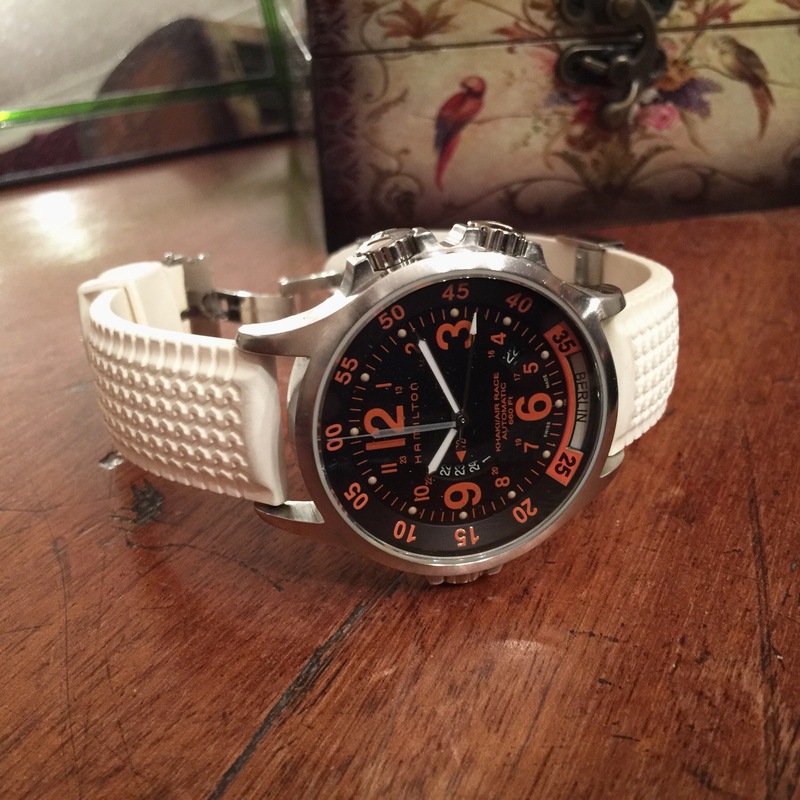 It was a round face and fitted my wrist well. 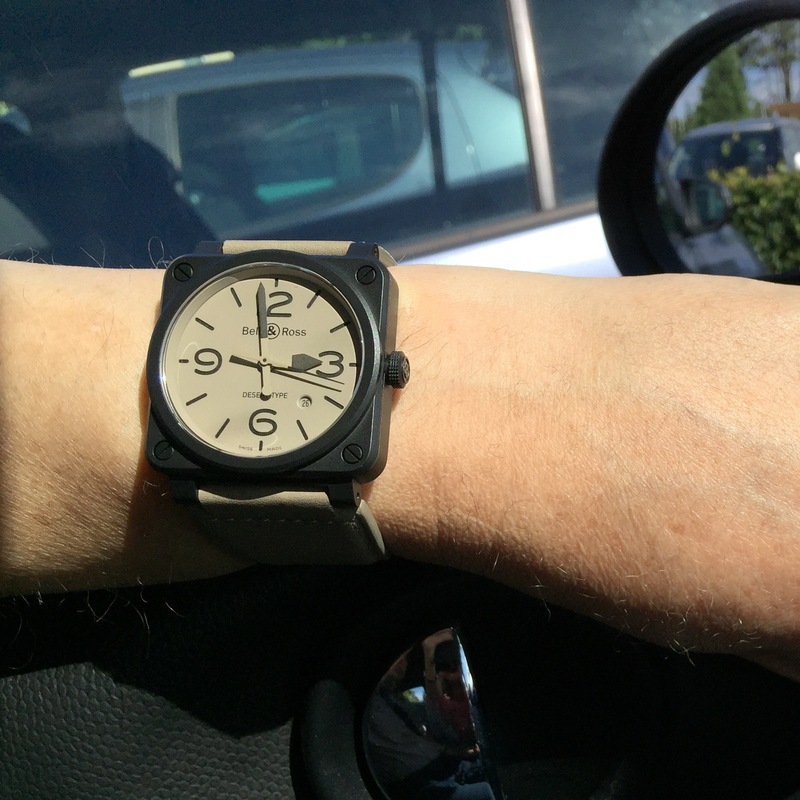 I thought the square faced watches would be too big for my wrist. 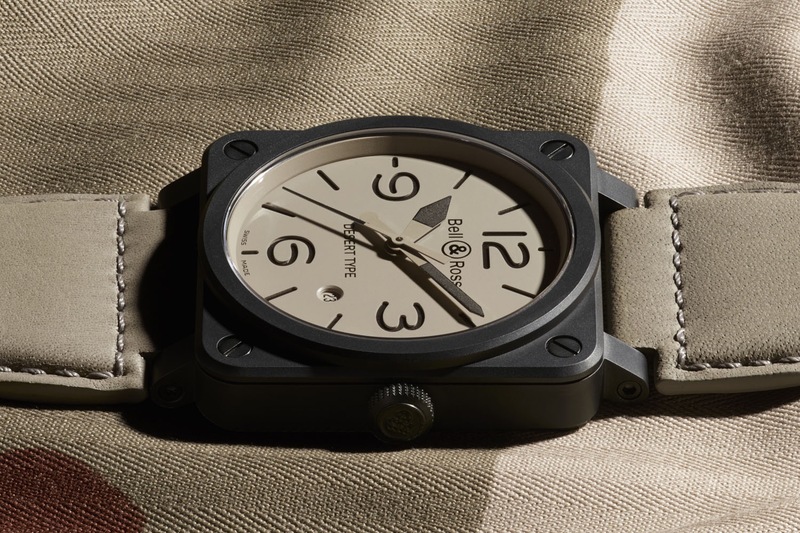 Back then they did a lot of versions in the 46mm size! Back in January I noticed this new version the Desert Type. 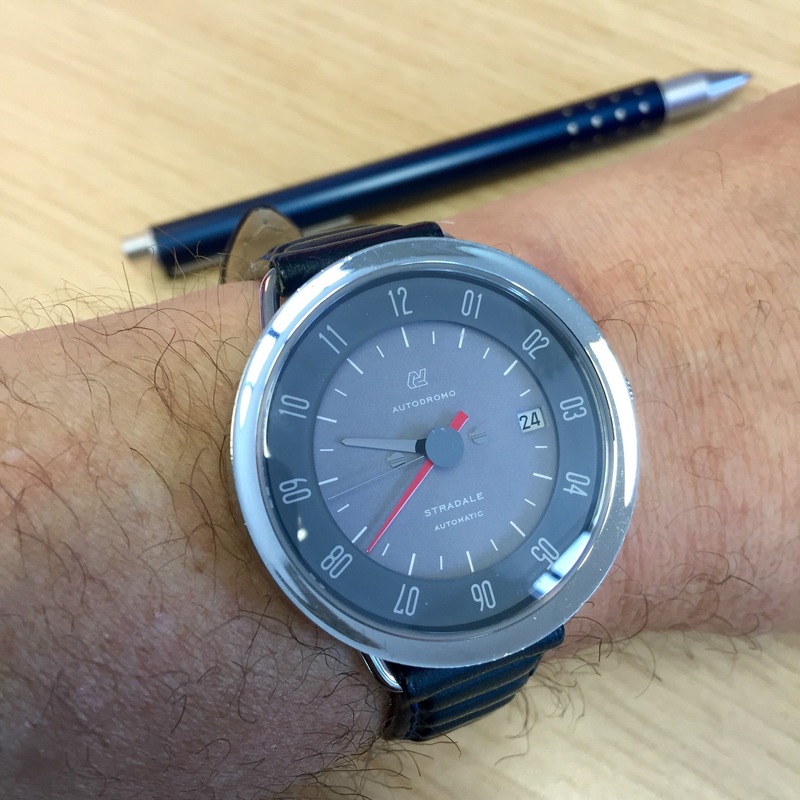 I thought the 39mm Quartz version would be the one for me. 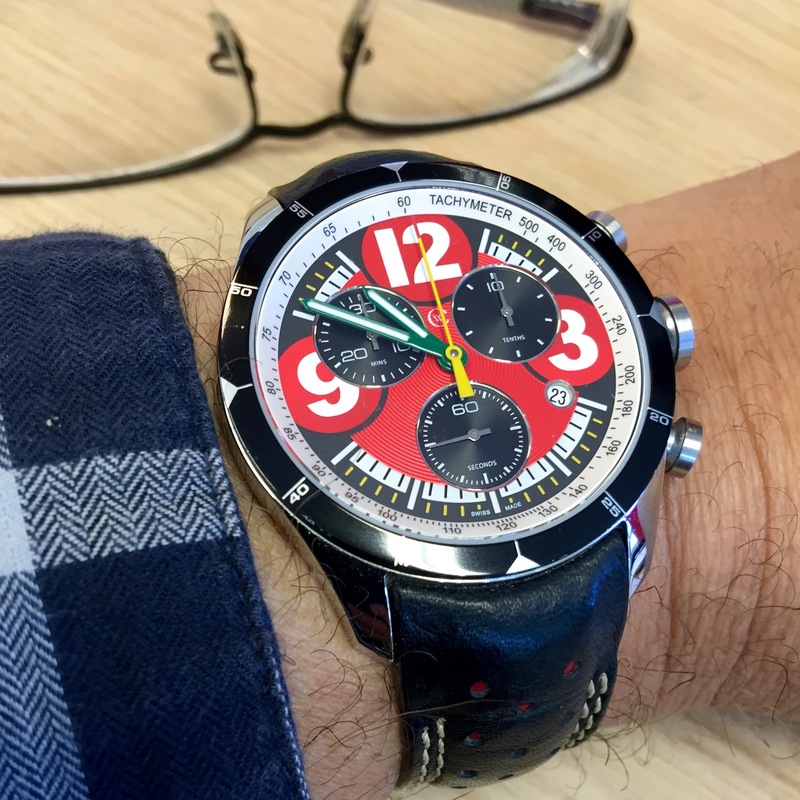 However, on a recent holiday I tried one on in St Tropez and the 42mm BR03 suited me better. 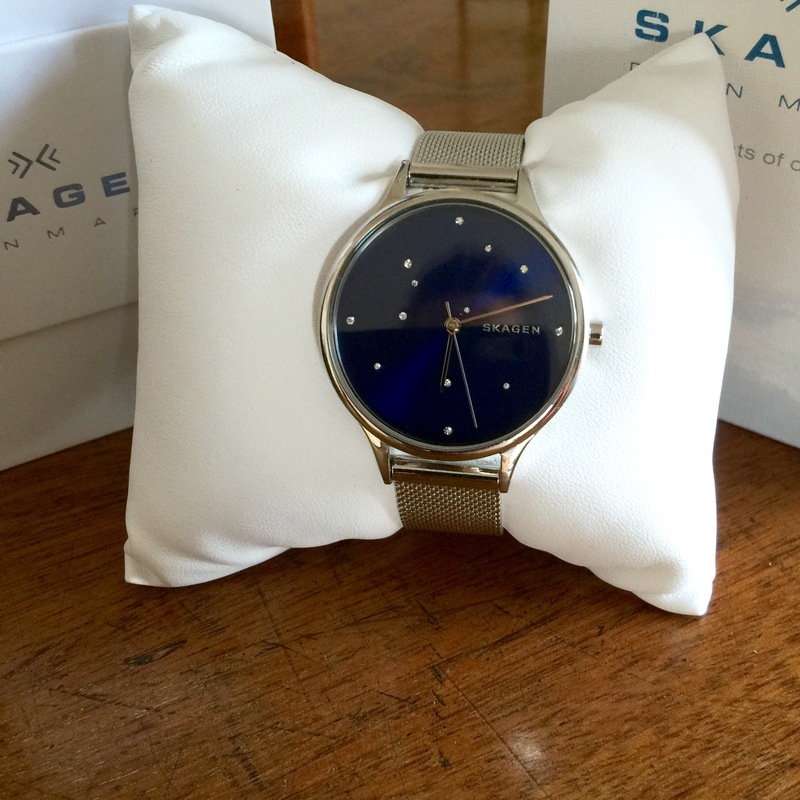 The price though wasn’t right – maybe it was the exchange rate. 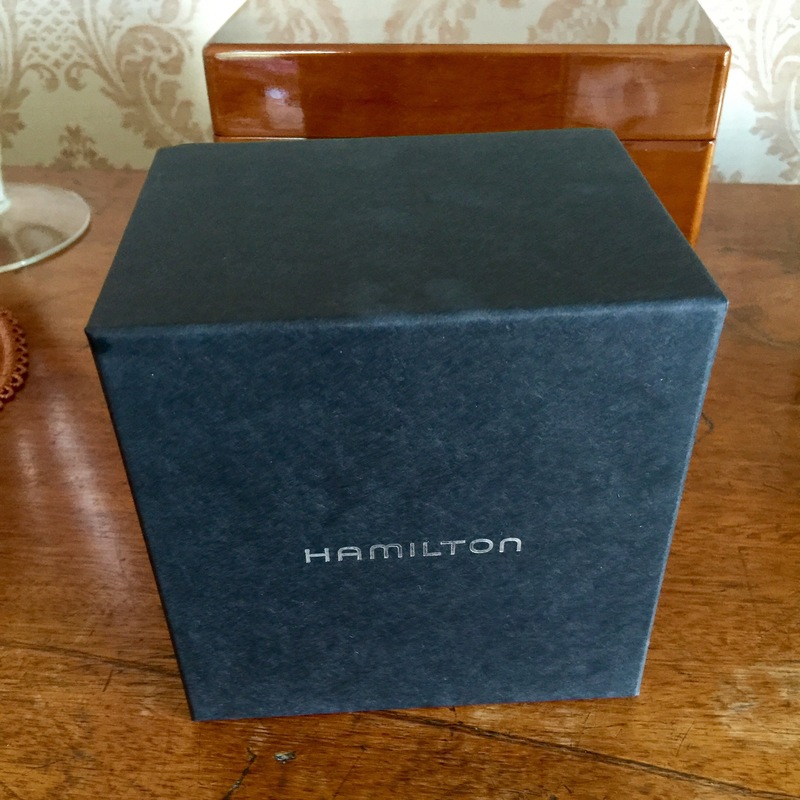 Then we spotted the Blue faced Diamond Eagle model with a constellation made from diamonds. 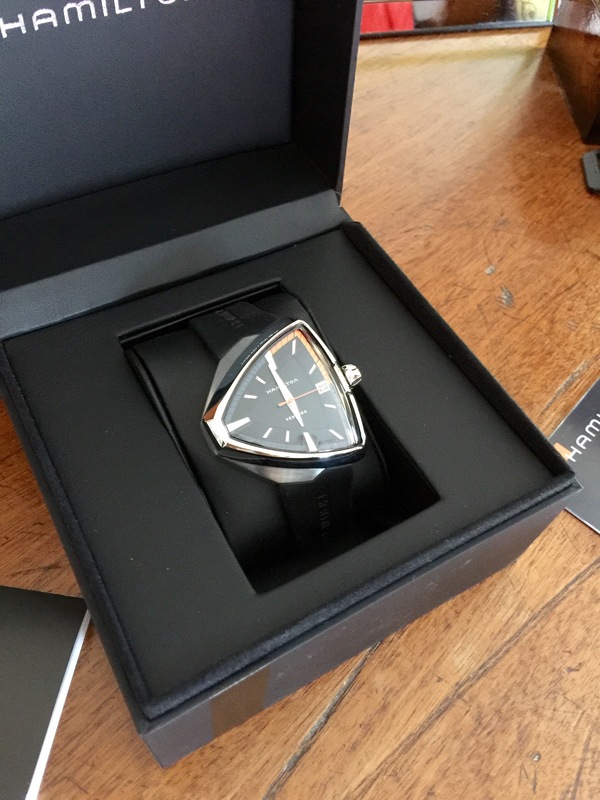 It is a beautiful watch and we thought it migh work for Mrs P. We tracked a shop down in Hanley which had the Desert Type in BRS and BR03 versions and the Diamond Eagle model. Alas the Diamond Eagle was still just too big for Peanut. 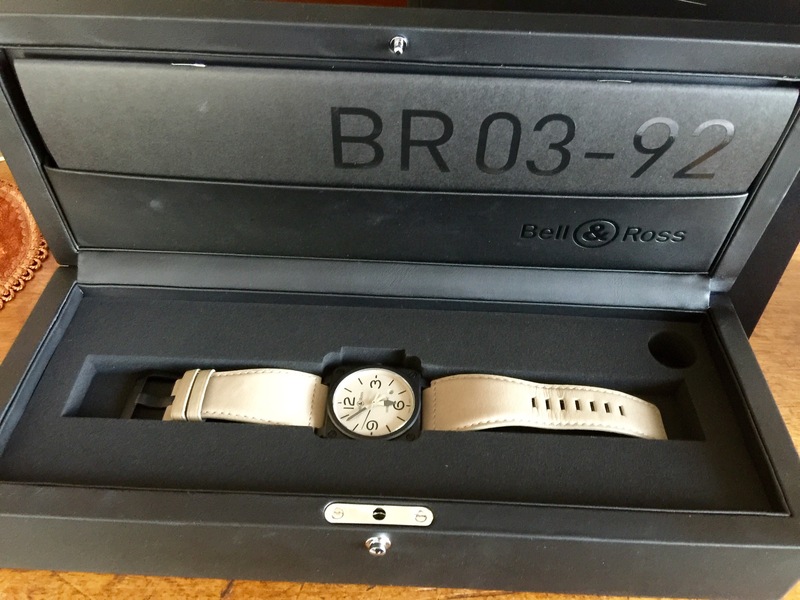 My Desert Type BR-03 though was perfect. 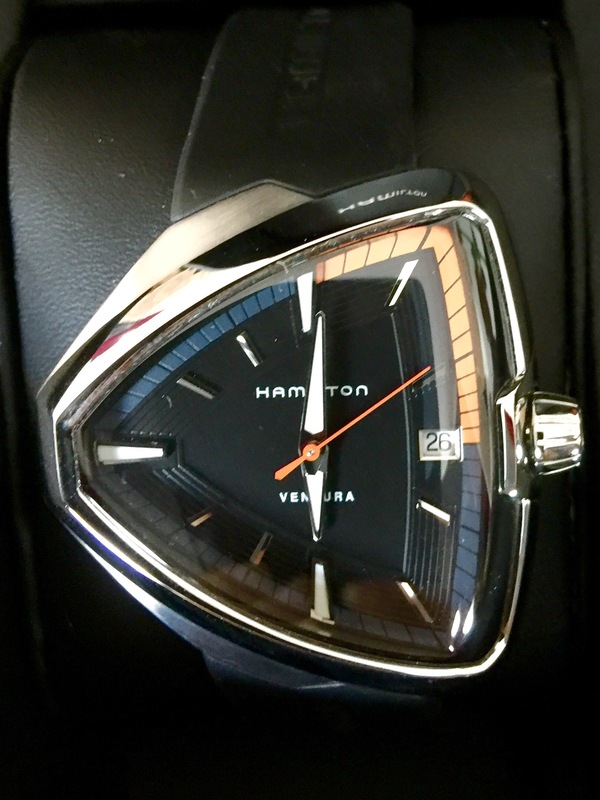 Bizarrely the shop also had the Hamilton Ventura Elvis 80. 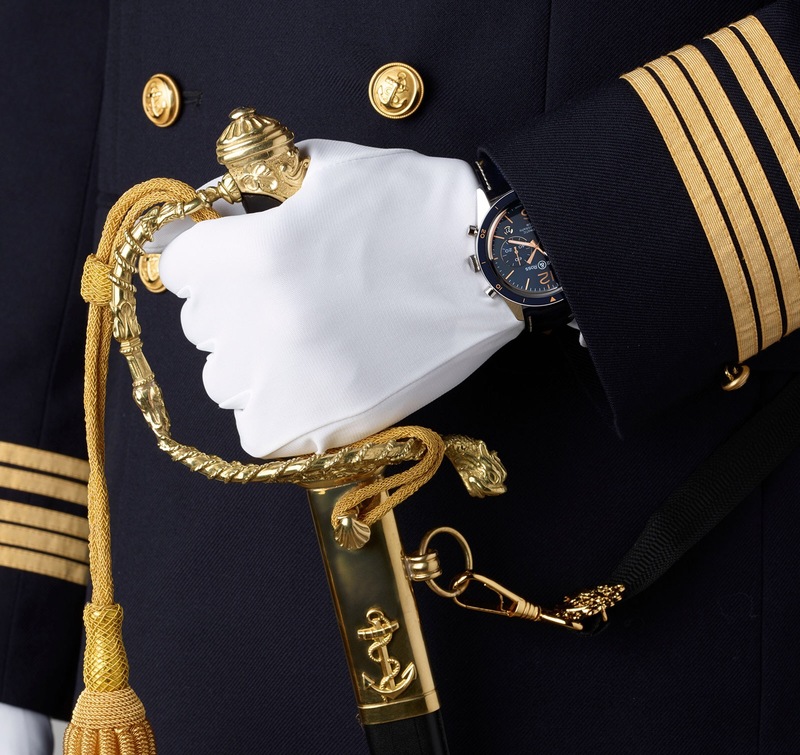 I had loved this watch from its launch but not seen one in the flesh. Again I assumed this would be too big. 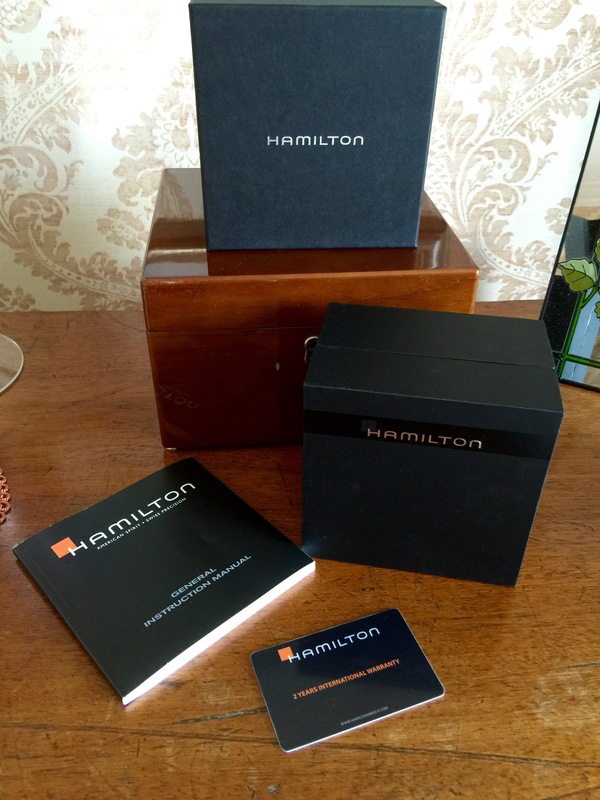 However, the case is curved and the fit was perfect. I got both of these and poor P walked out empty handed. 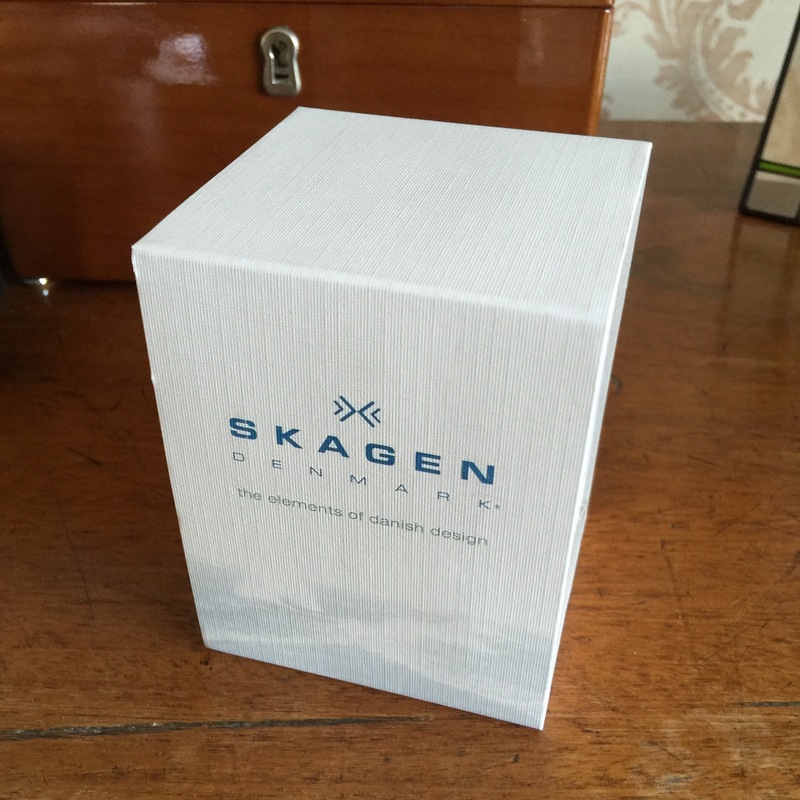 It was a fateful day though as round the corner we spotted a Skagen constellation watch. A perfect fit! 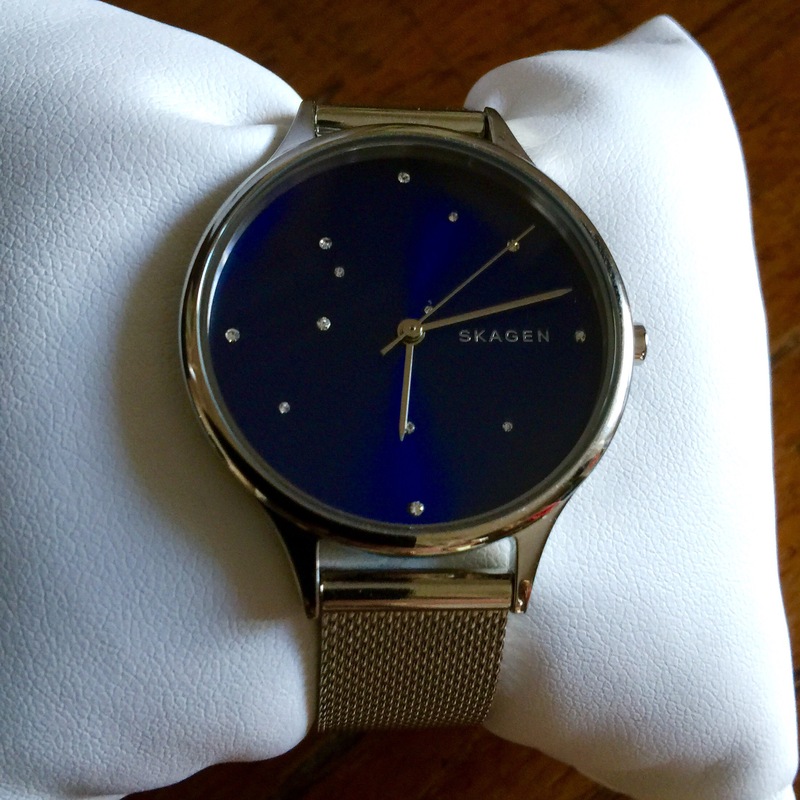 The shop by the way was Beaverbrooks in Hanley and I have to say it was a lovely watch buying experience. A nice cup of tea was very welcome after our hour and a half drive to get there and they were just lovely to deal with. I remember a while back helping the Elf to buy a Volkswagen Golf GTI and we were in there for hours and never got a cup of tea! I think they dehydrated the Elf so much that she signed on the dotted line just to escape and get water! Anyway, this is to my eyes a lovely edition to the collection. 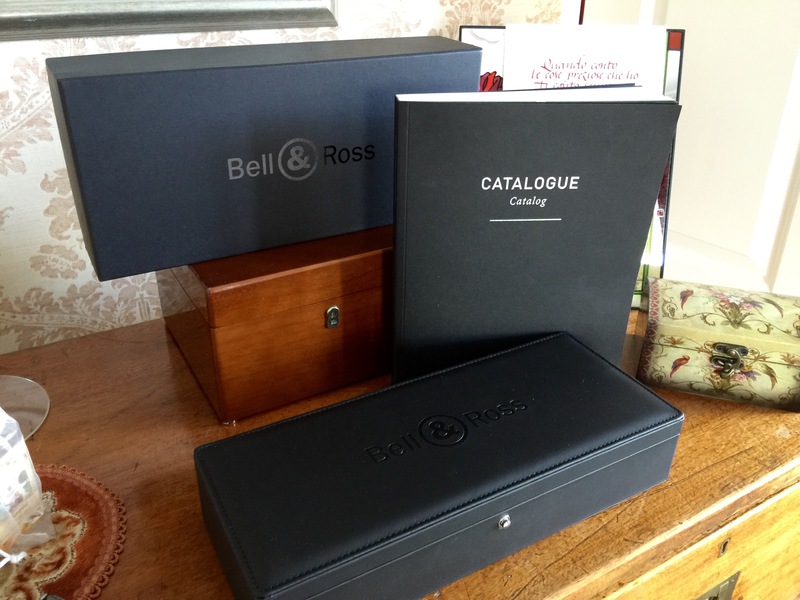 Categories: Bell & Ross, My Journey Through Time, Watch Blog, Watch Brands | Tags: bell and Ross, deser type | Permalink. 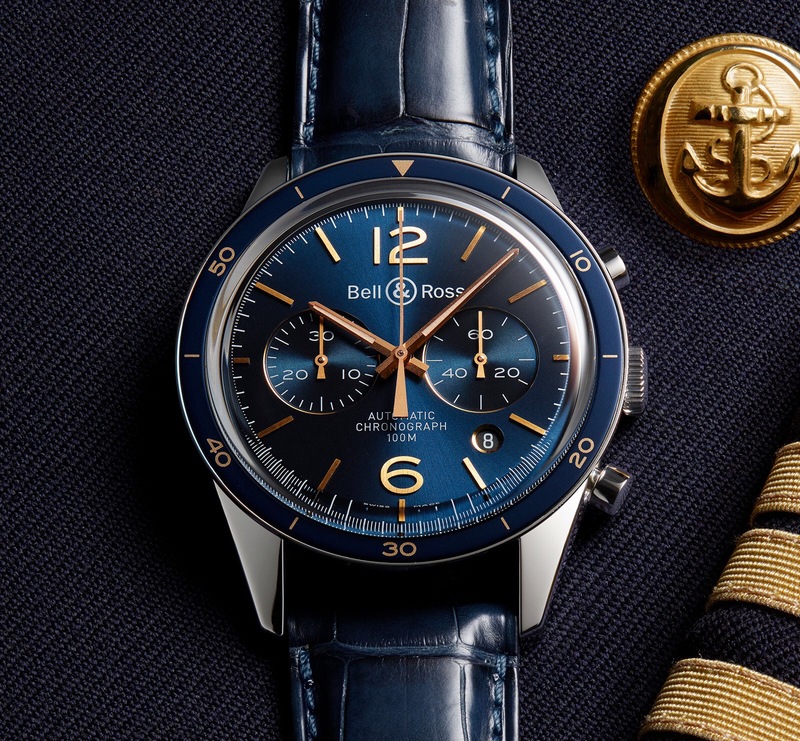 Bell & Ross have introduced the Vintage BR 126 Aeronavale and BR 123 Aeronavale, the new formal blue & gold Officer’s Versions of this classic model. 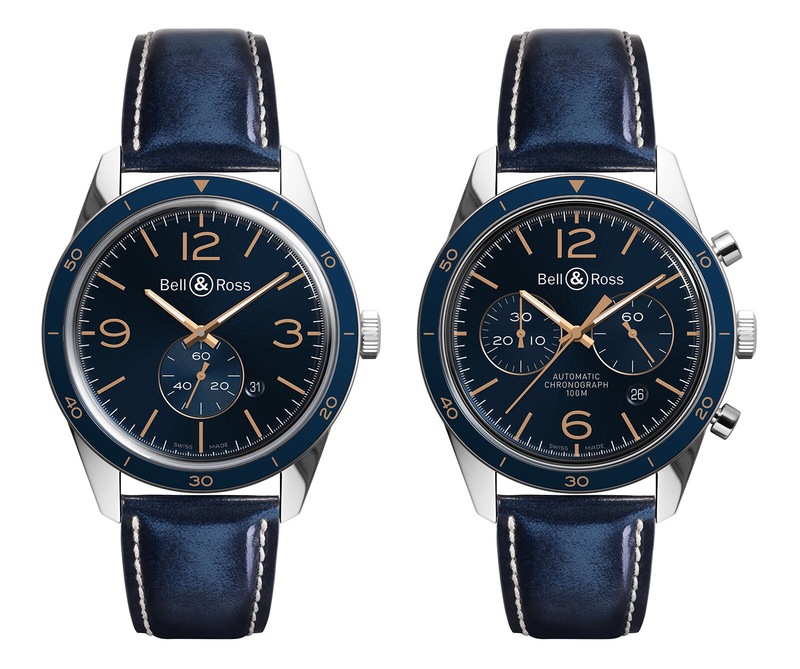 Categories: Bell & Ross, Watch Blog, Watch Brands | Tags: Bell & Ross, vintage 126 | Permalink. 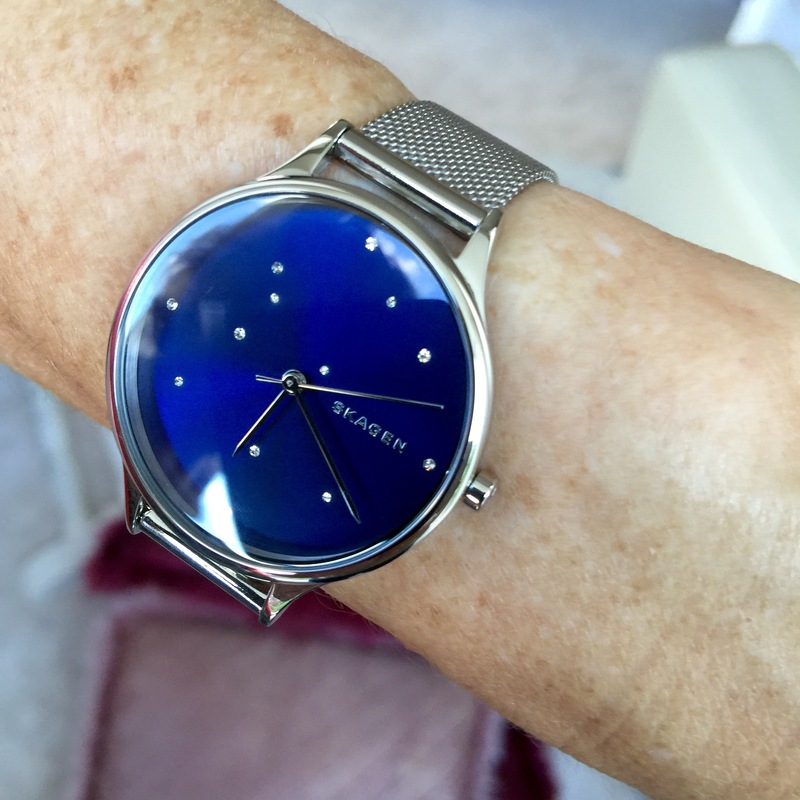 Skagen have updated their Anita watch case adding a beautiful blue face dotted with crystals in a random shape reminiscent of a constellation. 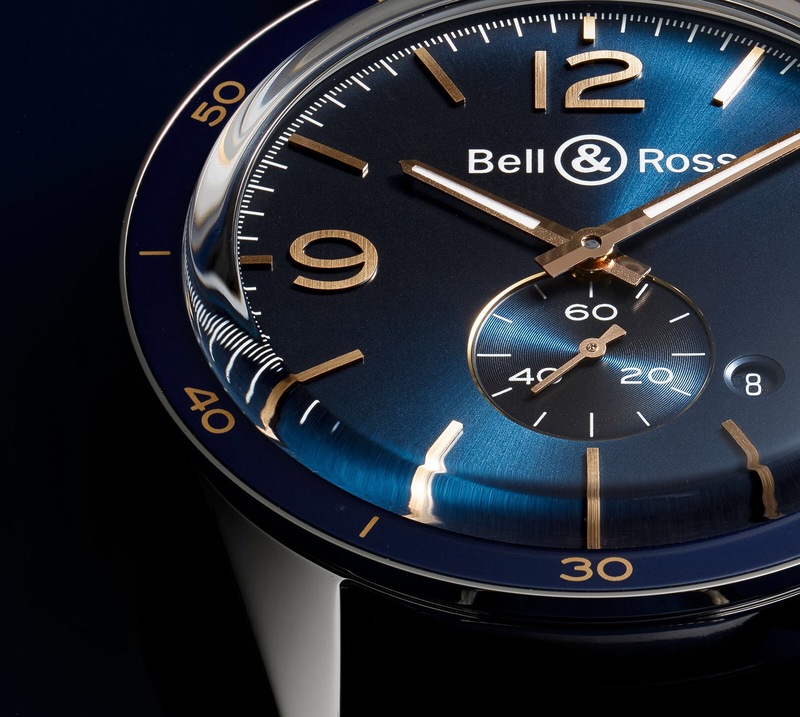 Peanut had just tried on the Bell&Ross BRS Diamond Eagle watch which is a similar idea but in a 39 MM square case and using diamonds instead of crystals. A different beast altogether at 20 times the price. However, it was just too big for Peanut’s tiny wrists. This though looks lovely on her wrists. Categories: Watch Blog | Permalink.